The perfect space for interviews or small meetings. 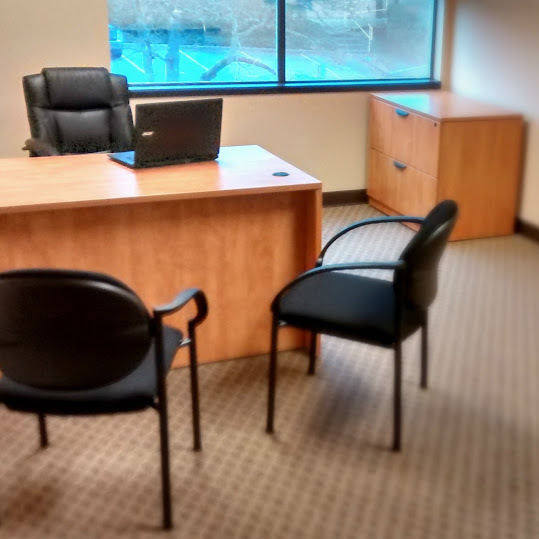 If you need a larger space, our boardrooms are perfect. Our Temporary Day Office is offered on an hourly or full day basis and available for use during the daytime, evenings and weekends. Let our friendly reception staff receive your clients and notify you of their arrival (weekdays only). The Business Centre offers a comfortable waiting room and complimentary tea/ coffee for when your clients arrive.